Recently I was told by my child’s swimming coach that I was not allowed to time keep my child from the grandstand during an event!!! Looking around at the time I saw many parents time keeping form the bleaches. This absolutely flummoxed me, for the past 15 years I have been a swimming parent and I have never been asked to stop timekeeping any of my children. In fact most of our past coaches have encouraged this and viewed it as a supportive behaviour from parents to their children (regardless of how far out the times are to the official time). This particular coach then went on a gossip binge pointing me out to other parents and shaming me! I am currently new to this club and have never experienced anything so unprofessional. My immediate thought is for you to make a time to meet with the coach to discuss what occurred in a non-emotional way and ask for some clarification from his perspective of what is and what isn’t permissible in regards to timing kids at swim meets. If it is still concerning you, it may also be worth just letting him know how you felt in regards to the coach talking to other parents about the situation. My experience is that a majority of coaches are okay with parents timekeeping their children at swim meets where there is no electronic timing to get an idea of what time they did for different races. Yes, the time recorded by a parent will be different to the official time a majority of the time, however it does provide a guide. At most meets the child’s time is available soon after the race is completed either online or posted on a sheet of paper at the meet. It is important for parents to remember that the final time is only one measurement of success in a race. The coach may be working with the child on improving other aspects of their stroke or skills throughout the race. 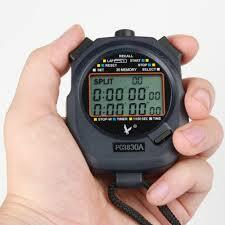 Having said that, a majority of coaches do not allow parents to bring stopwatches to practice sessions and I have seen and heard of many occasions whereby a parent has been asked to put the stopwatch away at training. I agree wholeheartedly with this. In regards to the coaches conduct following the incident, from what you have written and without knowing exactly what was said, I do not believe this is acceptable behaviour for a coach. It is important for coaches to work with individual parents if they have concerns about anything involving them however to then discuss these situations with other parents is not acceptable behaviour.